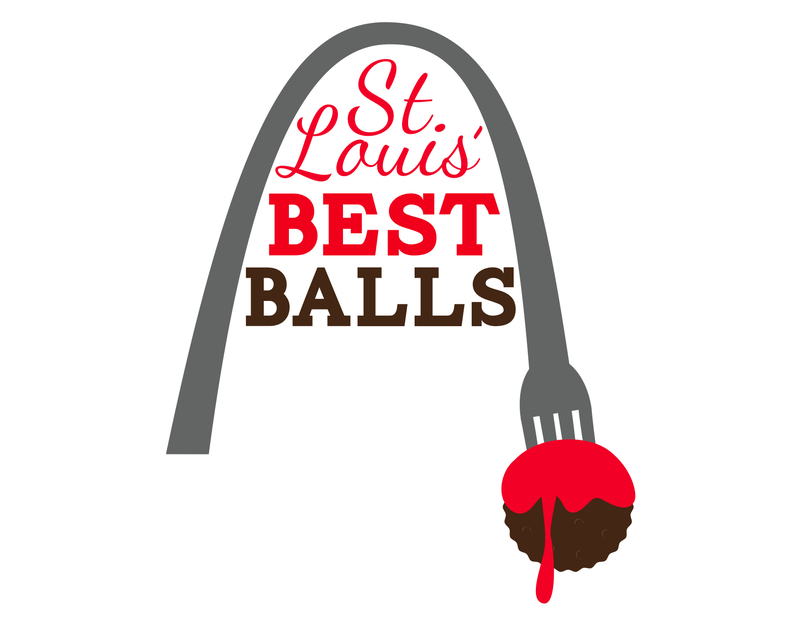 In this installment of St. Louis' Best Balls (see installments 1 and 2) , two different rice-based balls are featured from newcomers in the area, Pastaria restaurant and Completely Sauced food truck. Not only do these two have impressive food, they also make my graphic designer parts tingle with their branding. Pastaria has only been open for about a month, but it was one of the most anticipated new restaurants in the whole country (no really! Eater said so!). Gerard Craft, Beard Nominated, Food & Wine Best New chef, etc. etc, opened it. Responsible for 3 of the area's best restaurants, Niche, Brasserie and Taste, many of us locals were expecting great things from this much-needed pasta dispensary. And we have not been disappointed. The hand-made pasta and pizza at Pastaria has indeed elevated this town's Italian eats. And let me tell ya, that's a big deal for a town that prides itself on it's Italian roots. Okay, yes, we have strong Italian neighborhoods, but the :"Italian" food we pride ourselves on is... lacking. Sorry, but we're the home of Provel "cheese" and WAY too many people settle for Olive Garden-esque boring sauces and soggy salads. PASTARIA IS OUR SAVIOUR. Ammendment: St. Louis has some great Italian food... fantastic Pizza joints, especially. I actually wrote about the best Italian food as a guest post for my friend's travel blog here. We were lacking in the pasta department though. Seriously, such good food at Pastaria. And the balls! Fried Risotto Balls to be exact. Basically, smaller Arancini ... risotto encompassing molten-hot magma cheese. So much happy. On a larger ball scale, food truck Completely Sauced's Fried Jambalaya balls are almost baseball-sized morsels of spicy creole mouthfun. They don't always have these available, but you should seek them out. Follow them on twitter to find out if their mobile trolley of delicious is near you. If they don't have the balls (they seem to be reserved for special events such as Food Truck Fridays), you still can't go wrong with the normal menu. For instance, Cochon de Lait (pork slowly braised in milk!!!) po-boys. That is some elevated food truck goodness, to be sure. And look how cute their logo is! Look closely if you haven't notice the food elements in it yet... see it? Fantastic! Fleur De Ladle... (Fleur De Lis is a symbol often seen in both New Orleans and St. Louis as part of city pride... so good use in an STL-based New Orleans food truck, right?) Clever!! Man I love this town's balls. I really need to get to Pastaria!